Beat the heat and help your lawn weather the stress of summer with the H&H Lawn and Landscape 6-Step Fertilizer program! As the summer days get hotter and longer, this lawn fertilizer application offers your lawn a necessary boost in health and protection. During July and August, we apply another slow-release, granular and nutrient-rich fertilizer application that gives your grass the slow-burning nourishment it needs to overcome the environmental stressors of summer. A well-balanced fertilizer with iron help your lawn maintain a verdant color even during dry spells! Where necessary, pest controls for turf-damaging insects and weed controls for creeping dandelions and broadleaf weeds will be applied. While is may seem like the winter is still far off, this is the perfect time to start preparing your lawn for the winterization process: sign-up for aeration and overseeding during July and August! 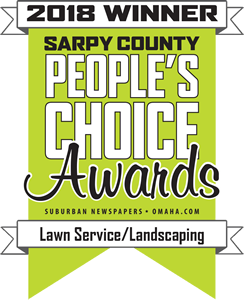 **Sign-up for aeration and overseeding!